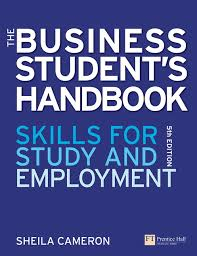 Business Students Handbook : Skills For Study And Employment - ubiq bookshop: the best place to buy books! The Business Student's Handbook integrates study skills, interpersonal skills and work skills to help students gain better marks in their study and to transfer those skills for success in the workplace. The book covers a broad range of topics including: essential skills such as essay writing, exam technique and managing one's studies, interpersonal skills such as working in teams, communicating and presenting, and work skills such as exploring problems, managing projects and improving creativity.